� Mainstay is a bull that checks all the boxes. He catches your eye when you walk in the pen; he�s deep, stout, good-looking and combines these visual qualities with an unmatched EPD profile. � Mainstay is extremely balanced in his performance information, he�s breed average or better in ever economically relevant trait. � His mother may be his best attribute. 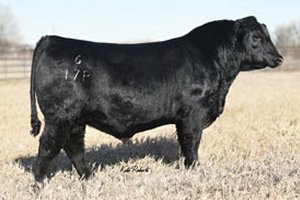 She is a beautifully-made, high-producing cow at Connealy Angus where she�s a leader in their ET program.